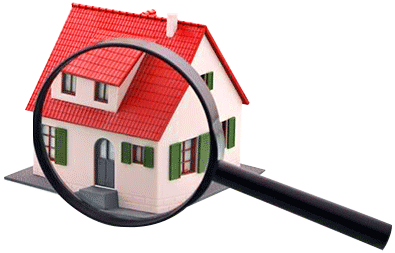 A pre-purchase pest inspection is a report on all timber pest attack to a house you’re looking to purchase. The homes internal rooms, sub-floor space, roof void and areas around the dwelling are all thoroughly checked for damage and a report is prepared, so that you have the full picture of what you’re purchasing before signing contracts. It’s typically carried out around the same time as a building inspection as the inspector will be able to discuss any damage found by our experts and estimate repair costs. Bega Valley Pest Control will also prepare a quote on suitable treatments if despite the damage you continue to purchase the home. Is a Pre-Purchase Pest inspection important? It’s absolutely crucial. Before purchasing a home you need to make an informed decision of what exactly it is that you are purchasing. It’s a far too common occurrence having customers come to us for termite control with horror stories of having to spend tens of thousands of dollars on repairs not long after purchasing what for most, is the biggest investment of their lives. Your home is your castle, and you need it to be safe for you and your family. It’s not uncommon for people to buy a house, move in then have to be put up in a hotel or stay with friends and family while important beams and structural supports are repaired. Do we handle building inspections too? Yes we do! We work closely with a highly recommended licensed local building inspector and we can take the hassle out of organizing your pest and building inspection by doing it all for you. By specialising in our on fields we offer prompt, quality and reliable service to help you on your way with purchasing a home or investment. Will you advise on preventing termites? Yes! We’ll give recommendations on preventing attacks even if none are present. Whether it is loose timber or poor sub-floor ventilation our staff are expertly trained to identify future problematic areas of your home and yard and note them in their reports. The Bega valley has beautiful trees and forests but with that comes the constant threat of a termite colony finding your home and having it’s internals for breakfast, most of the time without you even noticing.